Many people are having trouble accessing digital records from their home computer via FamilySearch. They are getting a message instructing them to a Family History Center to be able to view the record. What’s the problem and how is the LDS community helping to solve it? Read more to find out! FamilySearch.org is going through a major change and adjustment. The genealogy community is in quite a buzz about it. The biggest change is the upcoming discontinuation of microfilm lending from the Family History Library in Salt Lake City as of 1 September 2017. In the meantime, there’s another little problem happening now. Several digital collections that look accessible from online, aren’t. And the only way to view them is to make a trip to your local Family History Center. In the past, when we couldn’t access a record we needed digitally on FamilySearch, we could order a roll of microfilm and have it sent to a local Family History Center for our viewing. By September 1st, that will no longer be an option. Another option in the past was to visit the Family History Library in Salt Lake City. From what I have read, viewing microfilm in this manner will be discontinued as well…sorta. There will be some films still available, but you won’t necessarily have access to every roll of microfilm in the vault as we used to. Okay, but only for a limited time. You can if you only share it to a very limited audience…like, only members of your church. Yes, but…you can only make it accessible from specific computers at designated locations. Those records that have been digitized and indexed and are searchable by name, place, and date from your home computer by anyone and you don’t have to be signed in to FamilySearch. Those records that have been digitized and indexed and are searchable by name, place, and date from your home computer by anyone, but you have to be signed in to FamilySearch. If you are not signed in, you may get an index or abstract version of the record. However, by signing in to your free FamilySearch account, you can see the digitized image of the record. Those records that have been digitized and may or may not be indexed, but only members who sign-in with a membership account will have access. In other words, these records are only accessible to members of The Church of Jesus Christ of Latter-day Saints who are signed in to an account attached to their membership number. Records that no-one can view via their home computer. These digitized records can only be accessed through the Family History Center Portal at designated Family History Centers around the world. Member or not, these records are only available at a Family History Center…not to be confused with a Family History Center Affiliate. Read more about that distinction here. Lastly, there will be some records that are not digitized at all and are only in their original or microfilm state. If the records are on microfilm and held at the FHL vault, it may take up to three years before there is any access to them at all. You can see the titles of these items at the FamilySearch online catalog, but will not be able to order the microfilm as you have in the past. Is Anyone Doing Anything About This ‘Problem’? Some of my genealogy friends have had some great suggestions! Judy Russell and Drew Smith like the idea of having a different icon to indicate which digitized records can be seen at home and those that require access through the portal. Janet Horvorka suggests we all volunteer for a few hours at a local family history center which would allow us to see the records we want AND help out in the process! Whatever the solution, we haven’t heard anything from FamilySearch officially. And of course, I can’t speak for FamilySearch or the Church as a whole. But, I can tell you what I have understood and what my local church area is trying to do to alleviate this problem. Here in my area and in many other near-by areas, the local wards (much like a parish) understand we need to provide our communities with access to a Family History Center Portal. Sometimes, a Family History Center is within close proximity and in other areas, it can be quite a distance away. My local Family History Center is about a 45 minute drive. We feel that is a bit far and have decided to look into the option of creating a Family History Center in our local building. To do this, we must apply to the Church. To run an effective Family History Center, we need several trained volunteers who are members, a building with great wifi access, computers, and time. We don’t have a lot of either, but there is an option that might work…a computer-only Family History Center. What’s that? An application for this type of center must be filled out and sent to Salt Lake City. Many things are reviewed and then the application is accepted or denied. If accepted, it would take several days or weeks to set up a volunteer schedule, provide training, and up-date the room and system. 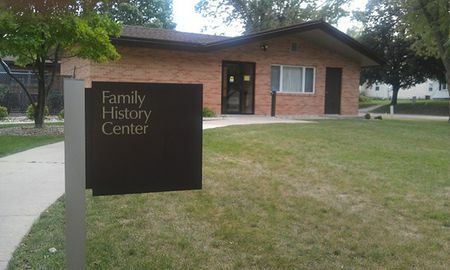 Once the computer-only Family History Center is up and running, it would be open to the public and offer the Family History Center Portal. Is this the answer…just make a whole bunch of computer-only Family History Center’s? No, probably not, but it is a solution we are hoping works for our little neck of the woods! Thank you for this valuable information. Can really be frustrating. Kuldip I make a request? Please use a darker font. Those of us with deteriorating eyesight have a hard time with gray fonts. Thanks! That is not quite correct. A Stake is the equivalent of a Diocese. A Stake may have anywhere from 6-12 wards & branches, much like a Diocese has Churches and parishes. A wards & branches are the the equivalent Churches or parishes in A Diocese. Thank you, Elmer! You are right! Thank you for the analysis of the gaps in the plan for those of us who don’t live near the Family History Library and are facing possible closures of our local Family History Centers. Do you know whether the LDS Church has a policy that would permit (or forbid) staffing a Family History Center with non-members? Hi Marian! No, I do not know if there is a standard blanket policy. When I was an assistant director in an Illinois location, we had non-members on staff for many years. These non-members actually held keys to the building and would open and close the center on occasion. Then, there were numerous break-ins to our building. One of the new rules implemented was that only members could have keys to the building and so, our Family History Center volunteers who were not members, but were regular staff, had to return their keys. This was quite an adjustment for us. I would guess, and this is just a guess, that most centers would welcome non-members as volunteers, but the non-member would not be able to have a key to the building…which means that at least one member would need to be on location. Suzanne…that is absolutely wonderful to hear. I am guessing they are doing something similar up in Buffalo Grove as well. I have not been down to Wilmette FHC, but it sounds like you all have quite an awesome and large collection. Thanks for sharing! My main concern with having to access information from my local Family History Center is that while there are several in my geographic area, they have limited hours and a limited number of computers. Whenever I go any of them to view microfilm the computers are in constant use, by church members, and I’m not foreseeing it being any different once getting microfilm comes to a halt. And, the computer usage is not by the volunteers, so I can’t see how being a volunteer for the FHC would make it easier for one to access the computer. I don’t know how many of these centers are going to be able to add more computers. Obviously, when the microfilm machines are no longer of use, that space can then be used for computers, but I’m sure that the church leaders at those locations have to careful about where they allot their money, and doubt if new computers for their Family History Center is going to be paramount. I do like the idea of having those records that are only accessible in a FHC be marked. I’ve wasted a lot of time clicking on records online, only to find that I can’t view them. But, again, I’m lucky in that I live in an area where I have easy access to 3 separate FHCs, and I’ll make do, but I do wonder how people in the more rural areas are going to work around this, as those FHCs are probably just as busy with members using them, with no computers available for non-church members. Yes, money for computers and volunteers to man and support a center, will be difficult for many. Also, to have enough computers and volunteers to have a “successful” center is always a worry as well. Thanks for reading! My closest FHC is four hours away via ferry and the either car or public transit 🙁 Not very practical for me. And setting up even a basic FHC in such a small community isn’t practical for me currently. I work at a library, but we’re not now and likely not ever to be open on a Sunday, so that nixes that idea too. A real shame so many of the record sets I used to be able to access via the website have now been made available only at a FHC. I understand, however, that is the prerogative of the record set owners. Teresa…wow, that really is sad because you are right, four hours away is not practical at all. I am sorry. I don’t know if this will help you at all, but I have been pretty successful gathering help from others via Facebook. There are so many wonderful groups of people out there. In particular, FamilySearch has their own Facebook groups which you can find here: https://familysearch.org/wiki/en/Genealogy_Help_on_Facebook And, I am the admin for the Facebook group called “Genealogy! Help Me!” which is a great group of people too. There is a FHC close to me, but I’m not sure if the records I need would be available. I’m helping a close friend search for his father’s birth parents. His father was born in Wisconsin in 1915 and adopted in 1916. Through DNA testing I’m pretty sure I have found at least 1/2 of the family he belongs to. 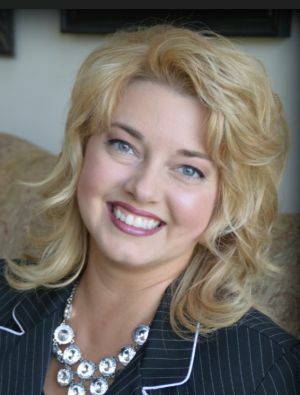 Would FHC have any records for out-of-wedlock births? My friend has the original Adoption Certificate, but of course no parent name. Is there any use visiting a FHC? Sharon, A Family History Center will have access (for free) to Ancestry, Findmypast, MyHeritage, and additional items on FamilySearch that can’t be viewed elsewhere. Out-of-wedlock births are not recorded as such…in other words, a birth is a birth. So, yes, it would be worth your time to go into a Family History Center! Best of luck! 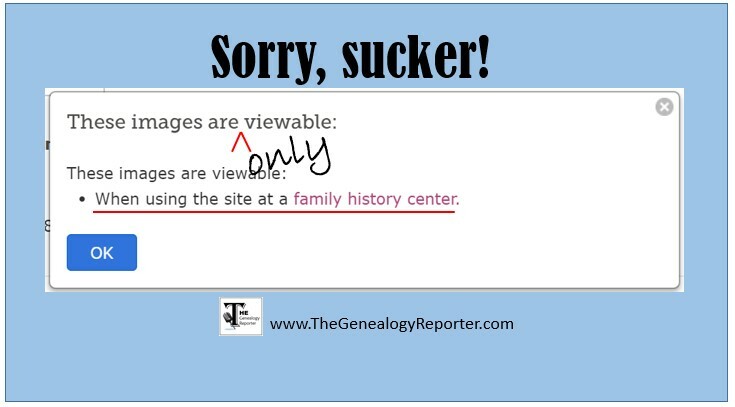 Another problem is that the Family History Center nearest me is in a genealogy society, not in an LDS church. This means that the computers and records there at this center (The American Canadian Genealogy Society, at 4 Elm Street in Manchester, New Hampshire) does not have access to everything I need either. The other library I frequent a lot (the New England Historic Genealogical Society on Newbury Street in Boston, Massachusetts) has a Family History Center on the 4th floor, but it has the same problem as the ACGS in NH (no access to the same things you can can see at a FHL inside an LDS church). So not all FHCs are created equal. There should be an icon or warning about that, because it can take me two hours (or more!) in traffic to get to NEHGS, and I would be peeved if the record I desired to view was not available. Oh Heather! I agree! Did you see my earlier post regarding the differences between Family History Centers and Family History Center Affiliates? That is our problem in my area as well. My hope is that other wards and stakes will recognize this problem and create actual Family History Centers that have access to the portal. These types of centers have to be be in a church owned building, which makes it tricky. Yes, I also would like the FamilySearch Family History Center map to have some sort of way to tell if the center is an affiliate or not, but in the meantime, let’s hope people call ahead and ask! Thanks for reading! Thanks so much for the clarification about the different types of records and accesses – very helpful!! Is there any thought to allowing people in a FHC to use their own computers for access? This would be similar to some genealogy libraries – ACPL comes to mind – where I have access to their subscription databases while I’m there and logged on through their portal. It would make setting up that FHC in your local building somewhat less expensive if you didn’t have to supply ALL the computer hardware – just the access. Actually, Diana…that is an awesome idea! I have no idea if it is possible, but that would be great for our area for sure! Hmmm…I am going to look into this. Thank you for the suggestion and thanks for reading! You cannot do this unfortunately. I took my laptop to my local Center but was unable to access the records. You have to use a computer owned by the Church to be able to see the records. The only way I can access any Family History information is from my home computer. I am unable to drive at this time. I find the whole setup frustrating. Joan, That would be frustrating. I can completely understand. I don’t know if you have heard of the Facebook group called “Genealogy! Help Me!” but it is mine and I would love to have you join us. We have over 1000 members who are wonderful about helping each other out in their quest for genealogy and family history work. This might be a temporary option until the digitization work is complete. There’s another issue. Many of the films available on the Internet are only identified if you use the catalog to identify them. They are not listed in the Wiki or in the Geographic search listing. That degrades the value of these resources. I live in a small town, and our FHC is in the church. It is only open a few days a week, and Sunday mornings is usually for church members. A couple of the people who are members, and work at the FHC also hold classes on genealogy at the public library. Our library also has a few computers set up for genealogy researchers, and the staff that work the information desk are very knowledgeable. I have ordered microfilm and had it sent to the library, mostly newspaper reels. Perhaps the local libraries could be a place for a FHC outlet, so to speak. Perhaps a conference room, etc. In addition to being able to view some records only at the Family History Center, there are also records that are viewable only to “member of the LDS church”. When you go to the local FHC, you will sometimes get this message when trying to see a digital record. Very frustrating. I’m helping my mom with her research. Her issue (from the Family History Center computers) appears to be the slow speed of accessing data from the archives, and the seemingly random access to save off graphics. Some pages of a record may be saved off for reference, and others can’t be. This appears to be inconsistent, and isn’t enumerated anywhere. I’d love to learn more about the whys and hows of it, to keep my mom from becoming frustrated. Are there Mormon Church members who are willing to use their computer access to look up records? I’m not talking about a wild goose chase. But I have links to many record images which can only be viewed by Church Members or at a FHC. If I were to send them my links, they could literally just click on them and copy the records for me in a couple of minutes. Has anyone ever done so? Chuck, There are many people who are willing to help if they can. I would suggest using a Facebook group. In fact, I run one called “Genealogy! Help Me!” There, you can put in your requests for help in looking up a certain record and see if there is someone that would be willing to do that. Many times there are people who are willing and able! Best of luck!